Daniel performed on Show 337 in York, PA on April 15, 2017. 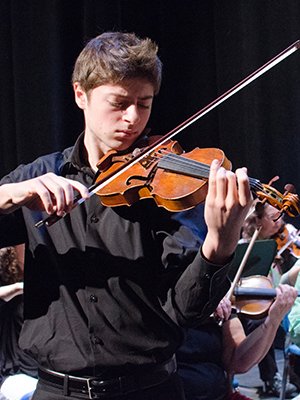 Daniel Rafimayeri (violin), 16, is from New York City where he is a junior at Hunter College High School. Currently studying with Patinka Kopec at The Manhattan School of Music, he recounts that seeing famed violinist Maxim Vengerov perform Tchaikovsky’s Violin Concerto at Lincoln Center with the New York Philharmonic was his all-time favorite music experience. His hobbies outside of music revolve around watching and playing sports.